Rob Zombie on next album: ‘Definitely our best record yet’. 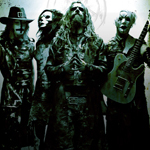 Rob Zombie has been speaking about the forthcoming new album he and his band will be working on from June this year. The as yet named album, will be the first studio album since Hellbilly Deluxe 2 annd will feature for the first time, the drumming of new band member Ginger Fish.